Sometimes you just have to sit and scratch your head. NCAA recruits are jumping ship nearly every day it seems for Canadian Major Junior. Its not just Canadian players that the NCAA programs recruit, its US players as well. Why is this happening? Well there are several reasons for it that TJHN has discussed numerous times, but one reason looks to be coming more common than all the others. NCAA programs are trying to get players committed at a very young age. A 16 year old player simply isnt mature enough to committ to a school or team. Once a young player verbally commits to an NCAA institution, others generally no longer recruit him. Once the player signs an NCAA letter-of-intent, others cannot recruit him. At 16 players are simply too young, not only to make a decision, but to project them into what role they would play on any NCAA team. In 2011, 16-year-old Anthony De Luca of Quebec, accepted a scholarship offer to attend and play hockey for the University of Vermont. He was projected to make the roster as early as 2013. This season, De Luca played for Lac St. Louis, scoring 48 goals and 80 points in 43 games. His skill and aggressive style marked him as a potential star for UVM’s incoming freshman class in 2013. He planned to play for Cedar Rapids in the USHL next year. De Luca’s development also renewed the interest of the QMJHL and Rimouski drafted him while De Luca was at the Cedar Rapids tryout camp. Rimouski quickly issued statements expressing its confidence that De Luca would sign with the team, forfeiting his NCAA eligibility. How did De Luca let Vermont know he was backing out of his commitment? Twitter. Is it time to stop recruiting in Canada to avaoid this type of event? Many schools seem to be making those choices internally. Various pressures from alumni, and publicly funded programs look to influence just how much if any recruiting of these young players continues to take place in the future. 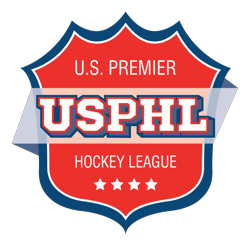 As this type of event becomes more and more prevelent, look for more programs to begin steering completely clear of Canadian players unless they are in the USHL or other programs clearly designed to groom players for the NCAA. Historically, one or two players per Major Junior team will go on to an NHL career. In a really good year maybe four or five will get drafted from one team or another. Those that don’t make the NHL have an educational consolation prize. For every year in major junior, they receive a one year post-secondary school scholarship covering tuition fees. If they play from age 16 to 19, that’s four years of schooling. Not a bad consolation prize if you take it. 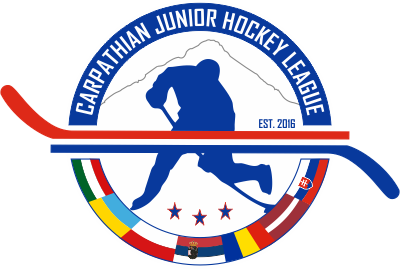 Many Major Junior Players ending their career go on to play Minor Pro Hockey in the US or Europe. Still chasing the dream of pro hockey they forget that if they do not use their education money within three years of finishing Junior hockey, they forfeit those monies. They also forget that once they sign a pro contract that is valued at a certain dollar amount, they loose their college money. Choices to be made for sure. Educated decisions to be made by people who know all of the information. Can a sixteen year old child be expected to make such an informed and critical decision? Can parents with dreams of NHL dollars be counted on to do all the research in an unbiased manner? In related news, the Cobourg Cougars are now affiliated with the OHL’s (Major Junior) Peterborough Petes. The announcement, made yesterday morning, will allow Petes’ prospects to play with the Cougars in the Ontario Junior Hockey League (OJHL Tier II). Any wonder how major junior recruits these potential college bound athletes should be gone now. It starts at home.